OMG Posters! » Archive Help Fund Gina Kelly's "Super Natura" Stop Motion Film - OMG Posters! 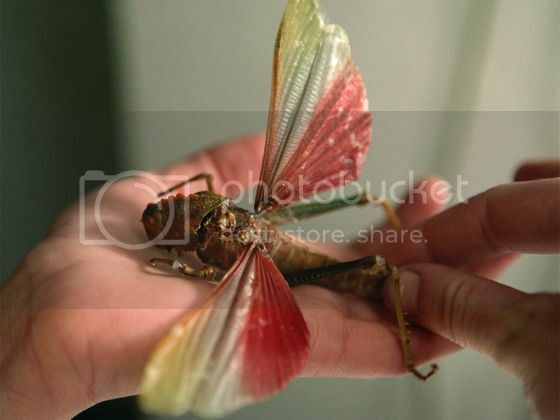 Poster artist Gina Kelly is currently seeking some help funding a stop motion film about insects titled “Super Natura”. The concept sounds amazing (making puppets from actual insects), but she’s running out of time. For $50, you get a screenprinted poster, a DVD, and thanks in the credits (but there are packages at almost every price level). Check out Kickstarter.com. Thanks to the backers from OMG poster so far. If you like stop motion and shows like BBC’s “Life in the Undergrowth”, then even your $2 donation can help me to realize this freakish film. I’ll post a video about the project tomorrow so check back! I will be backing this. I would be more impressed and inclined to support this if insect corpses weren’t being wired and hot glued.. Interesting you have an issue with already dead insects being animated. I didn’t anticipate animal rights on this one…. Are these free-range dead insects? Were they born in one of those farms where they barely have any room to move and are harvested for giant Hollywood dreams?! I think you should donate that to my cause. Actually, this film may have a little horror-ness to it, so you can anticipate a scene where animated dead bugs get their revenge…and the bug sounds alone will be creepy. If you have a similar concern, look at my project faq’s where I address this question. look at this project to see me singing the ripper by judas priest. it was a dare from a backer…so, you know. 13 days to go and $1000 left to raise. The poster you will get at the $50 donation level comes also with a DVD of the film. I promise this poster will smash your mind.